Wellness hotel Villa Magdalena is situated in north-west part of Croatia, small town Krapinske Toplice, only 45 km from Zagreb. Hotel has 24 accommodation units (18 Spa Premium rooms and 6 Spa Luxury suites) of which all have jacuzzy with thermal water. Hotel guests have unlimited use of panoramic wellness & spa oasis (indoor and outdoor pool, whirlpool, finnish, bio, infrared and steam sauna, relax zone, sun terrace, fitness). In our offer we also have yoga, active vacation (bycicles, poles for nordic walking, pool diving) and all kinds of massages and natural cosmetic treatments. Hotels restaurant is one of the most awarded restaurants in region. It main philosophy is fusion between traditional cuisine and elements of modern world cuisines. Restaurant is also specialized for vegetarian and vegan cuisine. Hotels wellness and spa is true oasis of peace and relaxation. 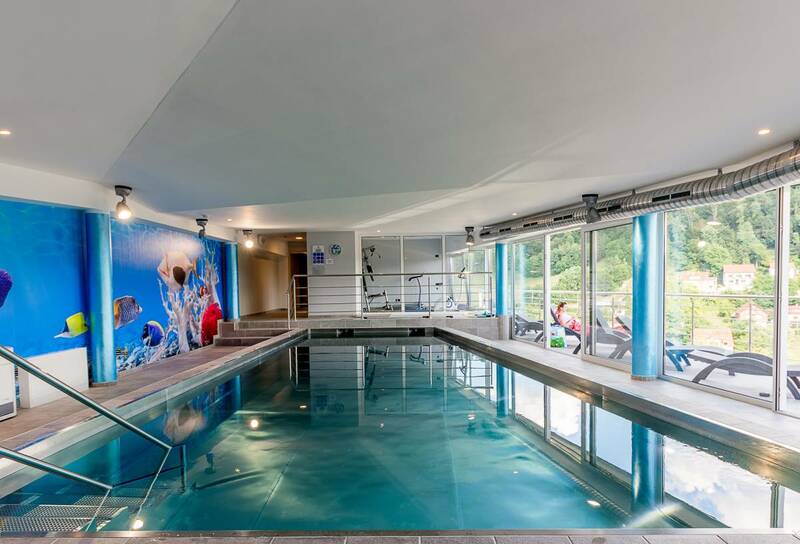 It includes indoor pool with heated water, four types of saunas: combined bio and finnish sauna, infra red and steam sauna, whirlpool with thermal water, fitness, relax zone, vitality bar and sun terrace. We have wide offer of treatments and massages and everyone can find something for themselves – offer includes classical medical and sport massages, various aroma massages like wine therapy and chocolate massage. Also, there are all kinds of body wraps and body scrubs with massages and cosmetic treatments. On this place beside enjoying, you are really doing good for your health. 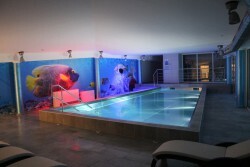 Hotel has 18 specially designed luxurious Spa Premium rooms and 6 Spa Luxury suites. 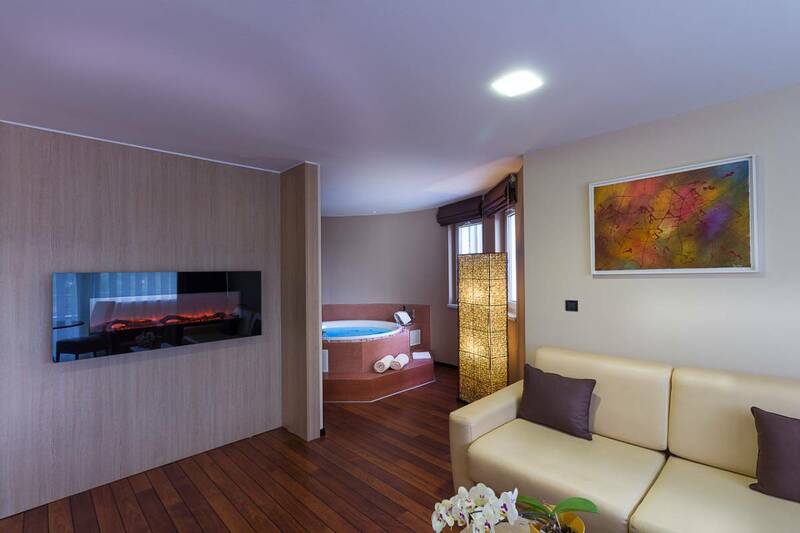 Every accommodation unit offers unique service – jacuzzy with direct connection to thermal springs of Krapinske Toplice, from which you can enjoy in panoramic view of surrounding green hills of Zagorje. Every unit also has balcony/ terrace where you can enjoy in fresh air and those peaceful green hills, and in warmer months, you can awake and have breakfast near the rays of morning light. 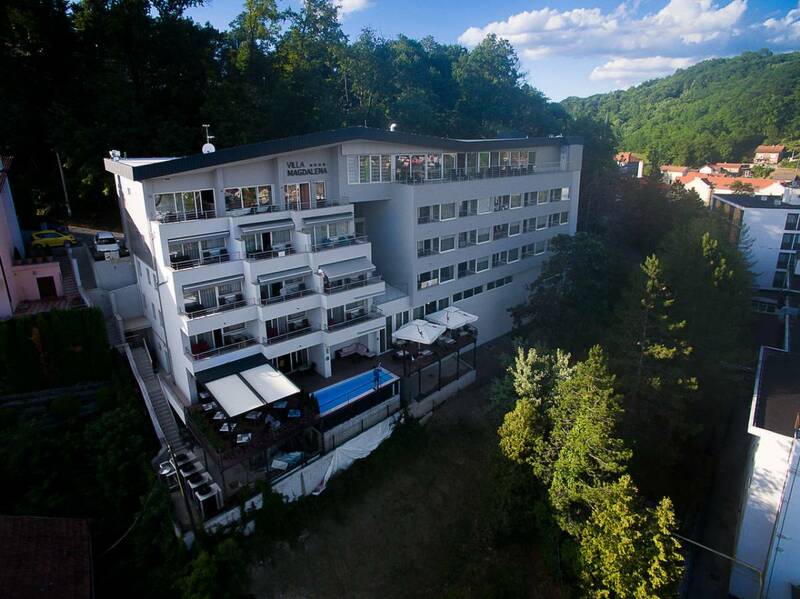 Hotel Villa Magdalena is the first exclusive small four-star hotel with luxury accommodation units, in the Croatian Zagorje, located on the small hill in the center of Krapinske Toplice just 45 km from Zagreb. 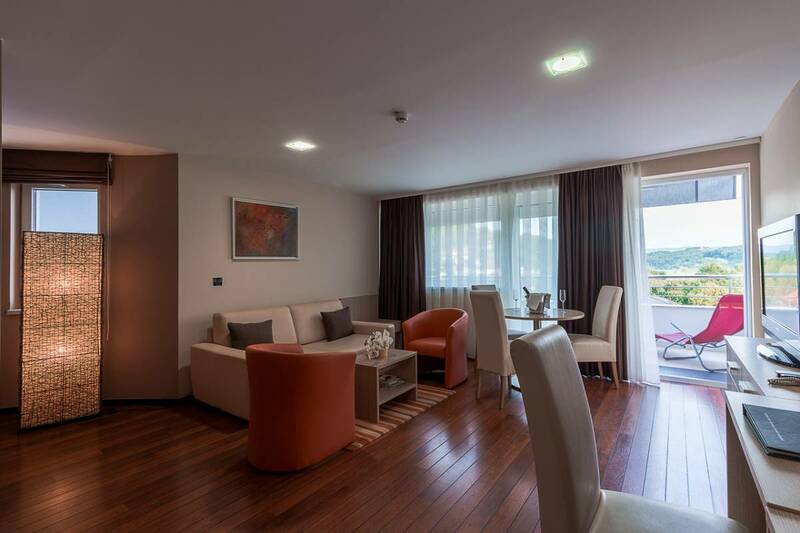 From the ancient times, Krapinske Toplice is well known spa resort, and today above all known as a health centre including specialized hospitals. Krapinske Toplice is settled in the middle of Croatian Zagorje, only 15 minutes away from all eco, eno and cultural heritage. If cancelled or modified up to 72 h before date of arrival, no fee will be charged. If cancelled later or in case of no-show, 1 night will be charged. By highway Zagreb-Macelj (A2), exit to Zabok, after paying the toll turn to the left, continue by the road „The Old Zagorska Magistarala“, after 3 km turn to the right, direction to Krapinske Toplice, after cca 7 km turn to the east entrance to Krapinske Toplice. From Zagreb it is possible to drive by the regional road („The Old Zagorska Magistrala“), direction to Zabok. Before Zabok, at Gubaševo (hundred meters after INA petrol station) turn to the left and continue by „The Old Zagorska Magistrala“, (the same as after exiting highway at Zabok exit).